From the splendid Indian Ocean in the south to the Himalaya in North acting as the crowning glory; from the ageless West to formidable mountain ranges of North-East, India is beautiful. And moreover, its visual explosion of bright colored apparels, marigolds, and bursts of sunlight. 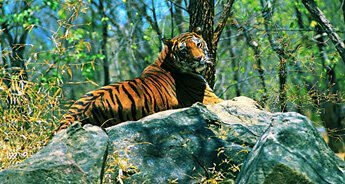 If you also want to experience the India's great highlights and cruise the mighty Ganga in one extraordinary adventure then don't let go this rare trip offered by Tour My India. 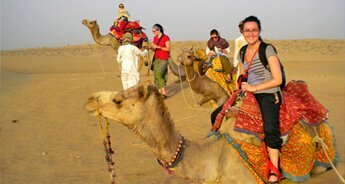 In just 22 days, this unique Tour My India package cover lively rush of Delhi, Cochin, and Mumbai; tranquility of the Taj Mahal; Khajuraho’s three groups of Unesco World Heritage Site; exciting Camel safari to reach the heart of Jaisalmer; character of rural villages, pure serenity of sailing the river from the temple in Varanasi and world heritage sites of Udaipur, Aurangabad, and Jaipur. This trip is the perfect combination of activities and free time to explore nation's rich heritage. And after coming back from this trip, you will be caught up in India's incredible tapestry of life. 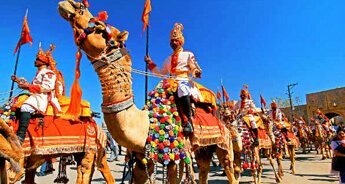 So, don't wait further and grab this package and discover the charm and mystery that make India simply Incredible. On arrival at Delhi airport or railways station, meet Tour My India representatives who will help hotel check-in process. Rest of the day will be free for leisure. Overnight stay in Delhi hotel. After enjoying scrumptious breakfast at the hotel, visit the attractions of Old Delhi like Red Fort, and Jama Masjid on a rickshaw. After exploring Old Delhi, go for a tour to Central Delhi to see India Gate and Parliament House. In the evening, you will drive to South Delhi to see Lotus Temples. After this action-packed day, return to the hotel for overnight stay. 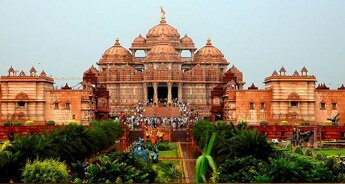 Today, you will go to Akshardham Temple. 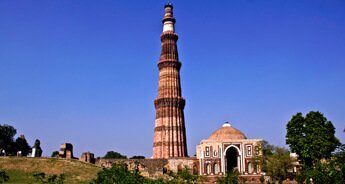 Further, you will explore the markets of Delhi where you can purchase some designer apparels, handicrafts, artifacts, and souvenirs. At evening, you can enjoy the Dance of India Show with a traditional Welcome Dinner. Overnight stay in the Delhi hotel. Post breakfast at the Delhi hotel, proceed to airport to board a flight for Varanasi, which is one of the world's oldest continually inhabited cities. 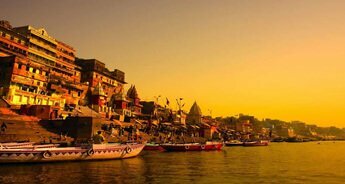 On arrival at Varanasi, you will be transferred to the hotel. And after resting for a while, you will go for the famous boat ride on the river. Next, you will visit the Sarnath, the place where the place where Gautama Buddha first taught the Dharma, and Buddhist Sangha came into existence. After a short visit to Sarnath, go back to Varanasi to attend the aarti. Overnight stay in the Varanasi hotel. 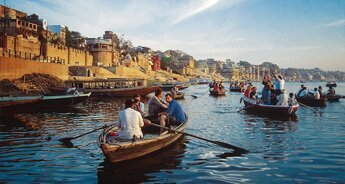 Today, you will go for Varanasi sightseeing tour. Early morning, visit the Ghat to see the beautiful view of sunrise. You will also sail to the Lalita and Goddess Shitala on a traditional boat. After visiting the temple, go to Kashi Viswanath Temple, Durga Mata Temple, and Tulsi Manas Temple. 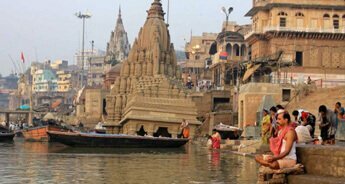 You will also visit the famous Banaras Hindu University. Overnight stay in the Varanasi hotel. The morning will be free for leisure; during which you can visit the local market to indulge in shopping. 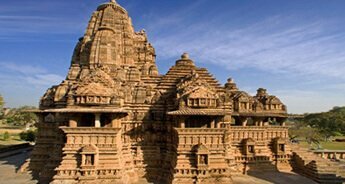 In the afternoon, check out from the hotel and board the train to Khajuraho. On arrival in Khajuraho, you will go to visit the Eastern group of temples, where is located the Jain temple of Parswanath. In the evening, you will attend the famous dance and light show. Overnight stay in the Khajuraho hotel. Dig in an early morning breakfast and then go to explore the western group of temples. You will also visit the Khandariya Mahadeva temple. After exploring Khajuraho, embark on a drive to Orchha to see the attractions like Jehangir Mahal and Raj Mahal. After lunch, you visit the Chaturbhuj temple and Ram Raja temple. In the evening, you will board the train to Agra. Overnight journey. Upon arrival, you will be transferred to the hotel. 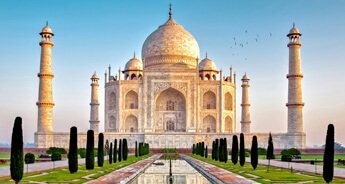 Thereupon have breakfast and go to Taj Mahal, one of the Seven Wonders of the World. After exploring Taj Mahal, go to Agra Fort. Overnight stay in the Agra hotel. After breakfast at the Agra hotel, drive to Jaipur. During the journey, enjoy a short stopover at Fatehpur Sikri. Upon arrival at the Jaipur, you will be transferred to the hotel. Rest of the day will be free for leisure. Overnight stay in Jaipur hotel. 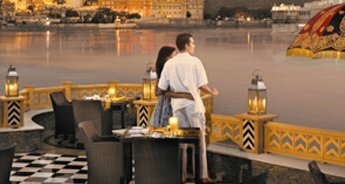 Post breakfast at the Jaipur hotel, you will go to the gigantic Amber Fort, where you will enjoy the iconic safari. After exploring the Amber Fort, go to City Palace, Jantar Mantar, and Hawa Mahal. In the evening, you will be dropped in the market where you can indulge in some shopping and enjoy some scrumptious food. Overnight stay in the Jaipur hotel. Embark on a drive to Jodhpur after breakfast. During the journey, take a short break at Pushkar, where you will visit the Pushkar Lake and Brahma Temple. Later continue your trip to Jodhpur. Upon arrival, you will be transferred to the hotel for overnight stay. 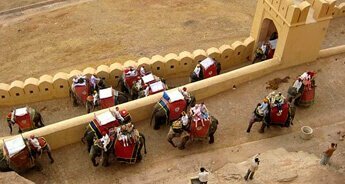 Today, you will go for Jodhpur sightseeing tour. 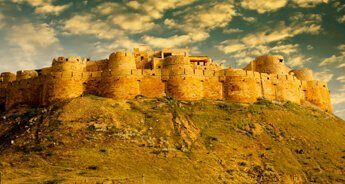 Visit the attractions of Jodhpur like Mehrangarh Fort, and Umaid Bhavan. Later, go for a drive to Bishnoi villages to see the cultural lifestyle. Overnight stay at the Jodhpur hotel. Embark on a drive to Udaipur. During the journey, enjoy a short stopover at Ranakpur, which is known for its marble Jain temple. Later, continue drive to Udaipur. Upon arrival, you will be transferred to the hotel for overnight stay. Enjoy breakfast at the hotel and then go for city sightseeing tour. 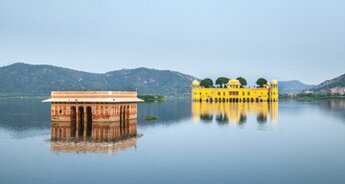 You will visit the attractions like City Palace, Pichola Lake, Sahelion ki Bari Gardens, the Jagdish temple and also to the local folk museum. In the evening, you will be taken for the boat ride over the lake. Special dance and music show will be organized in the evening. Overnight stay in Udaipur hotel. After breakfast at the hotel, take a morning flight to Mumbai. 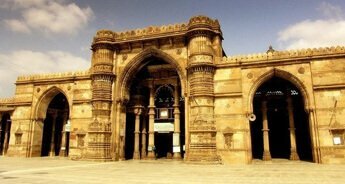 Go for the city tour and later embark on a drive to Aurangabad. On arrival, you will be transferred to the hotel. Visit the Ajanta and Ellora caves after breakfast at the hotel. Later, visit the Daulatabad Fort. Overnight stay in the hotel. For the better understanding of the Ajanta and Ellora caves, today you will again visit the attractions. In the afternoon, you will be transferred to the hotel. Rest of the day will be free for leisure. Overnight stay in Mumbai hotel. 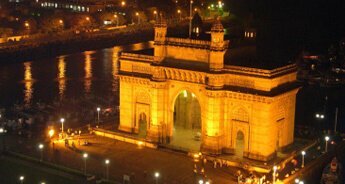 Go for Mumbai sightseeing tour. You will visit the Fort region, St. John’s Church, Marine Drive, Chowpatty Beach, and Hanging Garden. Overnight stay in the Mumbai hotel. Post breakfast at the Mumbai hotel, board a flight for Cochin. On arrival, you will be transferred to the hotel. In the evening, you will go for the boat ride. Dinner and overnight stay in the Cochin hotel. After breakfast at the hotel, your tour to the city starts. You will visit the Chinese Net, Jewish Synagogue, Vasco Da Gama Square, Santa Cruz Basilica, and St Francis Church. Later, come back to the hotel to enjoy the Kathakali performance. Overnight stay in Cochin hotel. 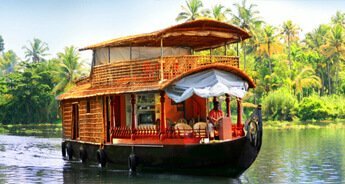 Today, you will go for Cochin sightseeing tour. You will go for backwater ride and visit the attractions like St. Mary Church. Overnight stay in the Cochin hotel. After breakfast, you will go to the shopping center and Ayurveda massage center. Later, you will board a flight for Delhi. On arrival, you will be transferred to the hotel.